Many choose to over-indulge over the festive period and so going ‘dry’ over January is a relatively easy sell. In fact, its thought hundreds of thousands of Brits ditch alcohol consumption for a four-week period in January. Studies have shown that ceasing alcohol consumption for merely a four-week period may bring significant health benefits for even the most moderate of drinkers. This includes lower blood pressure, weight loss, improved sleep, and improved liver health. All of these benefits are unmistakably a good thing. However, Dry January, as the name suggests, is limited to January. 31 days is undeniably a short-term outlook and we believe your abstinence goals should be much more ambitious if you are to truly benefit from a booze-free lifestyle. The official Dry January is run by the charity Alcohol Concern. You may officially signup for Dry January and even raise money for charity for doing so. Millions more are thought to ‘unofficially’ adopt Dry January without applying through Alcohol Concern. A 2017 YouGov survey suggests around five million people in the UK give up booze in January. However, some have suggested Dry January could actually be doing more harm than good. Those who ‘successfully’ complete Dry January often believe this gives them the green light to binge on alcohol for the remaining eleven months of the year. Clearly, this could mean Dry January is having some unintended consequences. In any case, it’s highly unlikely giving up booze for January is enough to significantly change people’s long-term outlook on their alcohol consumption. To achieve this, people need to educate themselves on the ill effects of drinking alcohol. This undoubtedly requires effort, and there is an ongoing role that must be played by Government if more and more people in the UK are going to adopt a healthier, active and booze-free lifestyle. Alcohol Concern, the charity that promotes and administers the official Dry January campaign each year, hopes to change the drinking culture in the UK. By promoting Dry January, we feel Alcohol Concern is going for an ‘easy win’. This charity is arguably sacrificing ‘great’ for ‘good-enough’ when it comes to setting its own success criteria in achieving its goals. For instance, there is no evidence that ceasing to drink for one month will lead to long term changes to your drinking habits. Some experts have even compared Dry January to crash dieting. This is mainly because those who engage in Dry January have complained of experiencing a ‘rebound’ effect in February – i.e. these people drink more alcohol in February to ‘make up’ for what they did not drink in January. Of course, this may not apply to everybody, but this does raise legitimate concerns about the effectiveness and even safety of undergoing a Dry January. A green light to binge in February? It’s an unfortunate fact that some who complete Dry January will see their ‘success’ as a green light to drink to excess in February. Clearly, doing so would entirely negate the benefits earned by not drinking alcohol during January. If alcohol is abused in this way, you will experience both psychological and physical consequences. You will also feel entirely demotivated to reduce your drinking throughout the remaining eleven months of the year. Thus, Dry January plays into people’s wish to set modest and unambitious goals that require minimal effort. It would be nice to see Alcohol Concern promoting alternatives to Dry January that attempt to promote longer-term abstinence goals. A ‘one-size-fits’ all model of 31 days is not going far enough. Others argue Dry January sends an ‘all or nothing’ message. 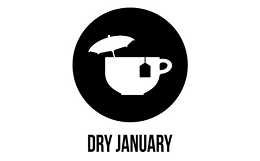 If you a heavy drinker, you may attempt to complete Dry January only to fail. Your failure may negatively impact your overall motivation to stop drinking. Instead, it’s probably better to set more achievable goals. For instance, you could be better advised to aim to stop drinking during the week and thus limit your drinking to weekends. If you are a beer drinker, you could aim to limit your drinking to only two beers per drinking session. Once you have drunk two beers, you could then drink non-alcoholic beers. Once you have some alcohol in your system, it’s difficult to differentiate between alcoholic and non-alcoholic beverages. You may assume Dry January is effective because it is so popular. It’s utter madness to equate popularity for effectiveness. Often, the masses follow a trend because it is easy to accomplish. Since many people overindulge during December, Dry January is a relatively easy sell. If a ‘Dry 2019” was promoted, it’s unlikely even a fraction of the people willing to complete Dry January would be willing to sign up, because going with alcohol for an entire year is simply viewed as unachievable by many. We would like to see another campaign aiming to help people cut down throughout the year. We appreciate it may be unpopular to promote a “Dry 2019” style campaign, and so a good compromise could be something on the lines of “Dryer 2019”, where the aim is to reduce drinking throughout the year without the need to completely abstain. When applicants sign up, they would need to receive an information pack that arms them with the toolset to reduce their drinking throughout the year. We believe this approach would help Alcohol Concern better meet its longer-term aims of reducing how much people drink in this country.